Edinburg Regional Medical Center provides comprehensive treatment for adult men and women with disorders of the urinary and reproductive systems, with special emphasis on the treatment of prostate cancer, bladder cancer, benign prostatic hyperplasia (BPH) and incontinence. All men over the age of 50 should have regular prostate exams to check for abnormalities. There are many treatment options for enlarged prostates and prostate cancer that can return men to normal healthy lives. Edinburg Regional Medical Center is at the forefront of development of new diagnostic techniques for both benign and malignant conditions of the prostate. These include the use of monoclonal antibodies for detecting cancer outside of the prostate and the use of various advances in technology to treat non-cancerous prostatic enlargement. The department has an ongoing prostate research project with treatment discovery that may have a major impact on the spread of prostate cancer to other organs. Generally, prostate cancer grows slowly and men often don’t show symptoms until an advanced stage. Men with prostate cancer may experience frequent urination, difficulty urinating, painful urination and other symptoms. Edinburg Regional Medical Center has extensive experience with nerve-sparing prostate surgery. Results with preserving continence and erectile function compare favorably with other academic centers performing the operation. The advanced method of radioactive seed implantation is offered at Edinburg Regional Medical Center. This method uses advances in computer calculation of seed placement for maximal effect and minimal side effects. The dose of each seed is customized at the time of surgery to conform to the size of the individual prostate gland. This method eliminates the staging procedure and is associated with the best response rates for brachytherapy. BPH, or enlarged prostate, is one of the most common medical conditions for men over 55. As the prostate enlarges, it can put pressure on the urethra and cause problems urinating. Men with an enlarged prostate may experience some of these symptoms: frequent urination, weak urinary stream, dribbling of urine, urinary tract infection and trouble starting to urinate. A new microwave thermotherapy is available to reduce the prostate without standard anesthesia. Other treatment options to relieve symptoms include medical therapies, minimally invasive therapies and surgical techniques. Edinburg Regional Medical Center offers some of the country's most complete options for the treatment of superficial bladder cancer. In addition to new drugs for treatment, new advancements in photodynamic therapy are used. Also under investigation is a unique method using fluorescence to identify bladder tumors that would otherwise not be detected by standard examination. Undesired urinary leakage is a common complaint for both men and women. Depending on the severity and underlying cause of incontinence, treatment options include varying voiding habits, biofeedback, medical therapy, minimally invasive procedures such as the injection of collagen and various surgical approaches for correction. 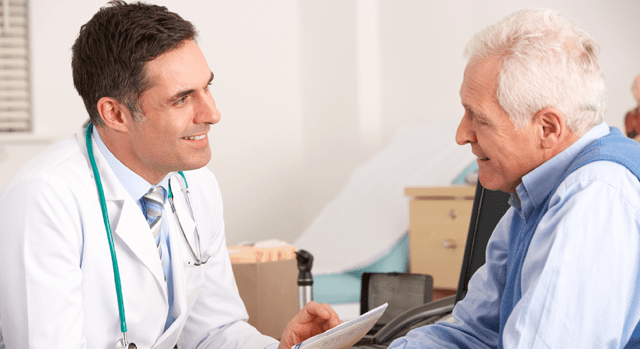 A special clinic is dedicated to the diagnosis of erectile dysfunction, patient education, selection of treatment options and long-term follow-up evaluations. Patient education is provided through literature, video instruction, discussion and pharmaceutical and manufacturer specialists. Treatment options are individualized and include oral medication, topical medication, injectable therapy, vascular compression devices and both inflatable and malleable prostheses.